Hyderabad: The government should appeal against Swami Aseemanand’s acquittal in the Samjhauta blast case if Prime Minister Narendra Modi was really the “chowkidar” of the country, AIMIM president Asaduddin Owaisi has said. A special court in Haryana’s Panchkula Wednesday acquitted Aseemanand and three others in the Samjhauta Express blast case which had left 68 people, mostly Pakistanis, dead in 2007. “If Modi was really a ‘chowkidar’ he should immediately announce that the government would appeal against the court verdict,” Owaisi said. “What kind of a chowkidar are you? Why are you afraid of Aseemanand? Why this love? came to know that Aseemanand was associated with RSS at one point of time,” the Hyderabad lawmaker said. Referring to the attacks in Pulwama, Uri and the Air Force base in Pathankot, Owaisi sought to know what kind of “chowkidar” was Modi. “This country does not need a chowkidar. This country needs an honest prime minister,” Owaisi, who is seeking reelection from the Hyderabad Lok Sabha seat, said. 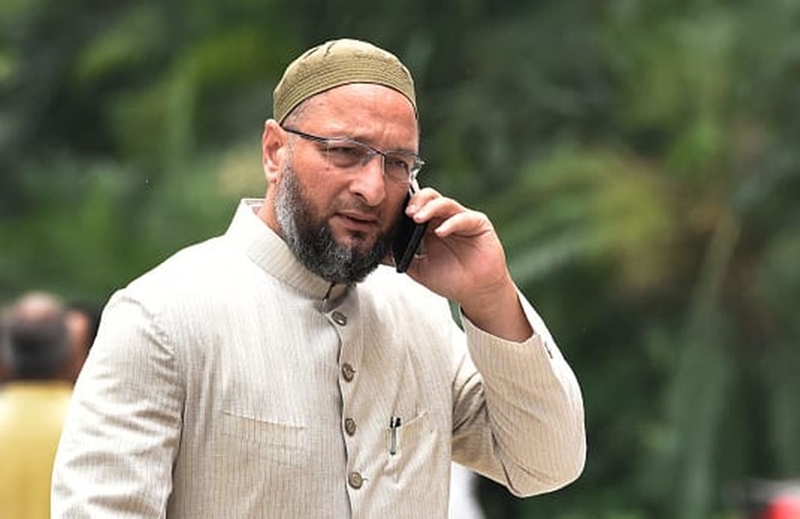 Owaisi reiterated that China blocking a UN resolution to designate Jaish-e-Mohammed (JeM) chief Masood Azhar as global terrorist was a failure of the NDA government’s “jhoola (swing) diplomacy”. Accusing RSS of seeking to weaken the country’s composite culture, he said the Hyderabad parliament seat “fights to shatter that”. Owaisi said he knew Modi spent 25-30 years of his life in the RSS. “The books written by RSS veterans indicate that they were against the composite culture of the country,” he claimed. “In his first speech, Narendra Modi stood up and said in Parliament that we got authority after 1,200 years of slavery. “An MP was sitting next to me, may be from the Congress, he asked me Owaisi saab, what is this 1,200 years. I said he (Modi) was referring to the time when Muslims were rulers of Delhi. The prime minister said that (period) was also a phase of slavery,” he said.